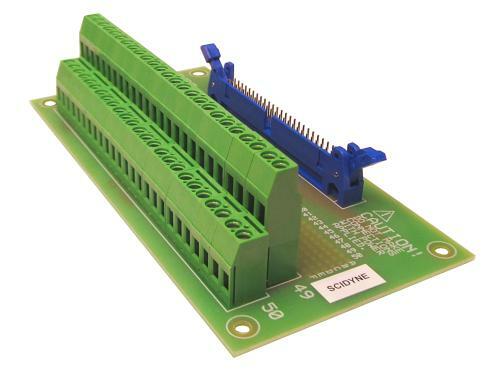 The IDC-STB family of screw terminal boards provides a convenient and secure way to transition from female IDC flat ribbon cables to individually accessible field terminations. All members share the same format and vary only in length as determined by the ribbon cable size and the number of screw terminals available. Each wire of the ribbon cable is routed to a separate screw terminal. In addition, a solder-pad prototyping area is provided which permits custom intermediate circuitry to be easily added. The terminals accept wires in the range of 12-24AWG, allowing connections to a wide variety of external devices. All boards have an identical Width of 3.00 inches and Height of 1.39 inches. The lengths vary by stock number and the number of screw terminals as shown below.